Tidal Audio GmbH was founded in 1999 by Jörn Janczak in Leipzig, Germany. Jörn was 24 years old and he'd already worked as engineer and production manager in several German high-end companies as well as having completed a stint of machining high-tolerance parts for Mercedes Benz. 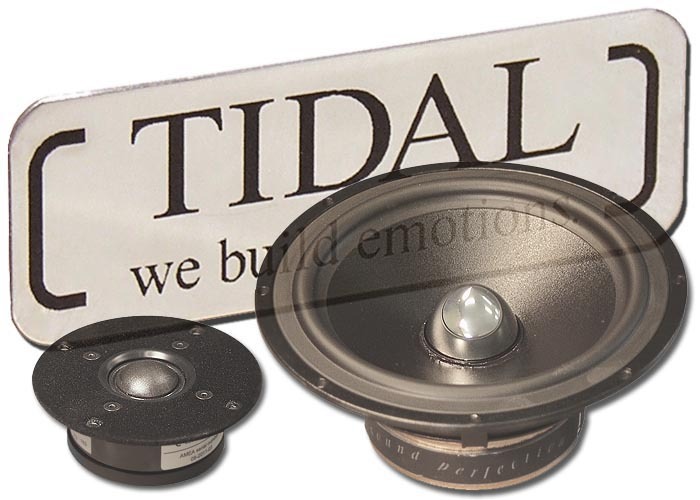 Specializing in the manufacture of high-end components for the most demanding stereo listeners, Tidal's goal is simple: to become one of the finest high end brands on the market, neither the biggest nor the brand with the most aggressive advertising. Not wanting to build 'me too' products -- not the most expensive or heaviest -- Janczak says that he simply wanted to build the finest. Janczak believed from the start that outstanding designs and hard work would engender worldwide recognition. In 2003, he was joined by Jürgen Meehsen, an investor and music lover who is mainly responsible for financials and bookkeeping. Tidal's name itself is inspired by one of Jörn's favorite singers, Fiona Apple and her album Tidal. To Jörn, the word connotes eternity and continuity "just like the tide". Three years later, Tidal feels that it's difficult to find any brand on the market that offers its trademark qualities of sound and finish whether we're talking speakers or electronics. Regarding finish, it is said that a picture is worth a thousand words. However, I could spend another thousand words explaining why the accompanying pictures can't possibly convey the beauty of these loudspeakers. 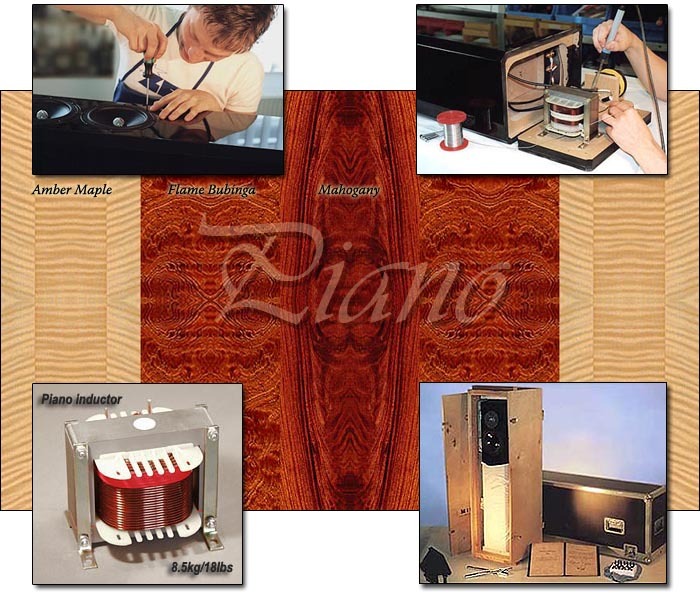 Finished in deep high gloss Tiger Maple, the Pianos are simply gorgeous and exemplify the essence of simple elegance. So highly lacquered and polished are they that they remind me of two polished marble monoliths, albeit with a gorgeous maple grain and color. Take my word for it. The pictures don't begin to hint at their beauty. 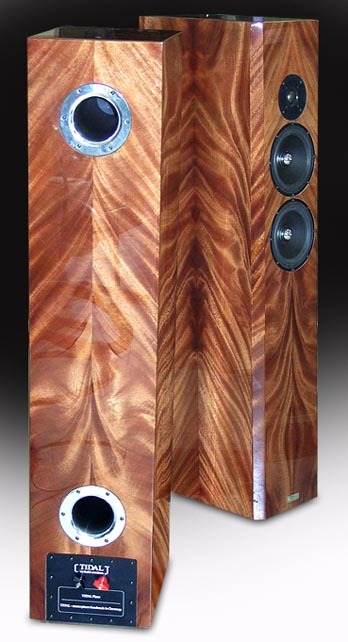 These are finished as no other speaker I've ever seen and their slender silhouette and chamfered edges both minimize obtrusiveness (if you're of the mind that a speaker such as this could ever intrude on décor!) and maximize visual appeal. I'm told that the cabinets are made and finished by a famous piano manufacturer in Germany. The finish is actual piano polyester, not lacquer. Polyester spraying is banned in the US for health reasons. (It can be applied in small quantities in liquid form but that's all.) When completed, the finish is 2 to 3 millimeters thick and virtually impervious to the elements. 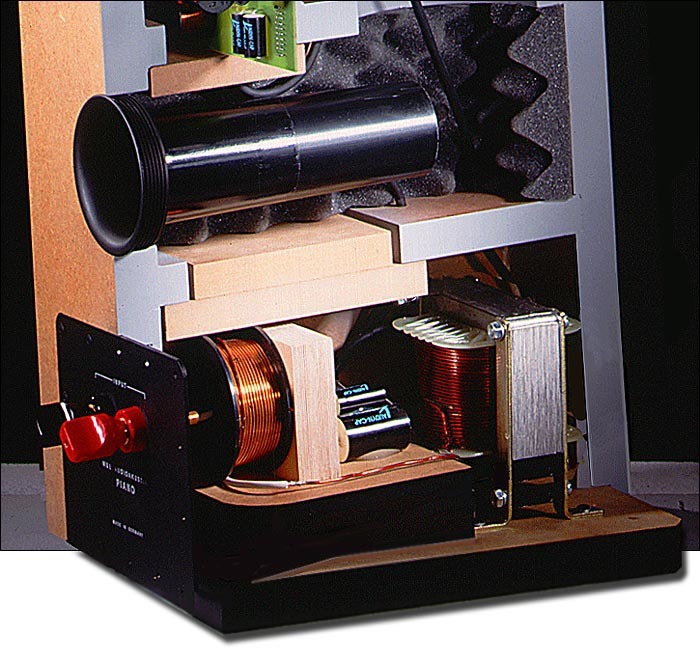 The cabinet itself is manufactured to what Tidal calls RMD specs (resonance minimizing design) and built to be inert enough to eliminate deleterious microphonics and resonance. Give the speakers a knuckle rap just about anywhere - in addition to a sore set of knuckles, you'll get a minimal and short-lived audible verification approaching that of a cinderblock. They are rather seriously inert. copper phase plug. 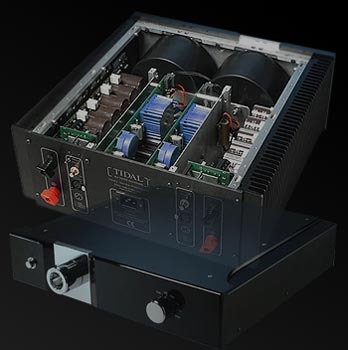 Directly above them is the 1.1-inch modified ScanSpeak 97000 Revelator, a highly respected fabric dome tweeter with an additional velvet coating of the faceplate to stem diffraction. The cabinet itself is constructed of 1.5-inch MDF and features tongue and groove construction. Within the Piano and encapsulating the passive crossover network is a compartment that is both mechanical and pressure isolated. The network is said to be matched within 2% of a reference standard. It makes use of SUPREMECAP MKP™ capacitors, metal film resistors and air-core inductors resulting in what is said to be an extremely linear frequency response, excellent step response and an optimized phase and group delay. Around back are two bass ports and a single pair of 100-ampere gold-plated binding posts with plastic nuts fashioned for hand-tightening only. A free option of dual pairs for biwiring is also available on special order. Bundled accessories include chromium-plated spikes and protective discs, a micro-fiber cleaning cloth and an owner's manual bound in hand-finished leather that includes actual MLSSA measurements for each speaker. Optional finishes include a metallic acrylic lacquer in silver grey, bordeaux, ocean blue or just about any other color you can come up with. For specifications, Tidal quotes nominal impedance of 4-6 ohms, a minimum amplifier requirement of 50 watts, an efficiency of 88dB (in room) and an F3 point of 32Hz. 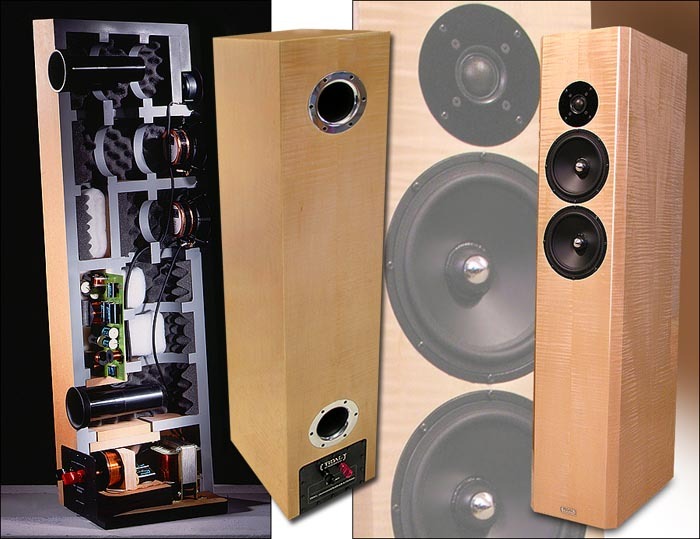 Each speaker measures 46 inches tall by 9.6 inches wide by 14.3 inches deep and is canted backwards by 4° to time-align the drivers. 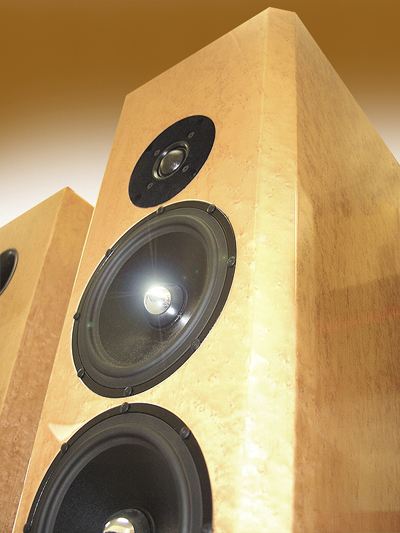 Each speaker tips the scale at a solid 117 lbs. The speakers ship in flight cases for a combined shipping weight of 306 lbs, including all packaging and incidentals. Despite the fact that the Pianos have all their drivers mounted on the top half of the speaker, these are very bottom-heavy speakers. One look at the cut-away picture and you'll know why. Check out the 18-pound inductor transformer (part of the lower woofer's low-pass network) and all the bracing down there. The result is a low center of gravity and a much more stable speaker than you'd probably suspect, particularly once spiked. The Piano is a two-and-a-half-way design, indicating that both mid/woofers work in tandem to produce low bass while one woofer's response is rolled off somewhere below the midrange, leaving vocal range duties to a single transducer. All drivers are housed in their own damped chambers, all wiring is point-to-point. Other than that, Tidal is pretty tight-lipped about design parameters. Performance wise, the Tidal Pianos have succeeded in raising the bar of my own expectations, for what can be achieved by a modestly sized speaker in my room. And raised it significantly. They play me something I've never heard before. Do you believe that musical and highly resolving are two mutually exclusive sets of priorities? Do you think that there's no such thing as a speaker that draws out the minutest of inner detail yet is always easy to listen to and extremely system-friendly? Do you swear that hyper resolution must always equate to mechanical in the end? I did. But I've just learned that I've been wrong. It was simply a matter of finding the right speaker. 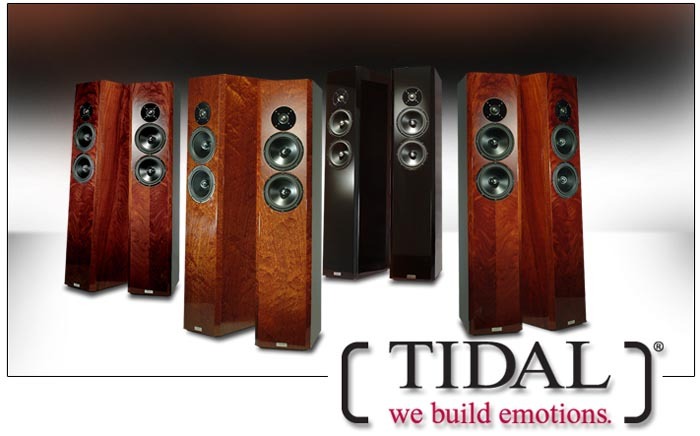 Make no mistake, the Tidal Pianos are one such very rare speaker.